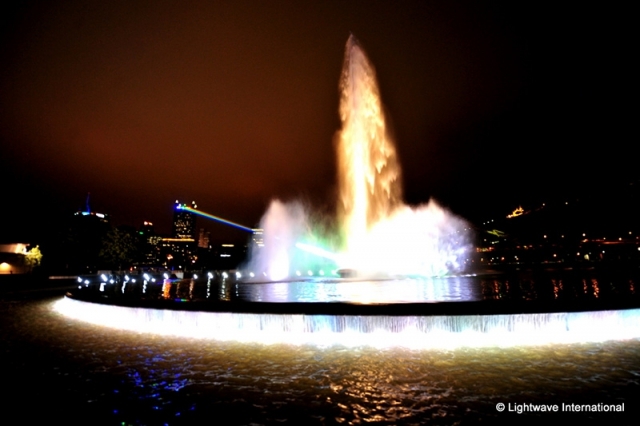 On June 7, 2013 Pittsburgh's Point State Park fountain rejoined the skyline with the help of Yvette Mattern and Lightwave International. 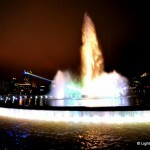 The 150-foot water spout - symbolic of Pittsburgh the way the Gateway Arch identifies St. Louis or the Golden Gate Bridge means San Francisco - has been shut down the past four years for refurbishing. 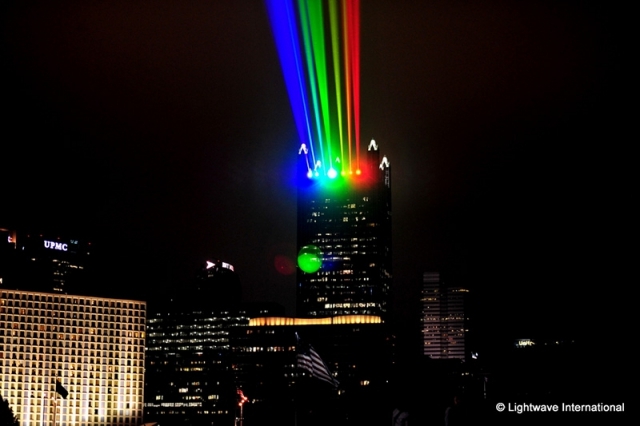 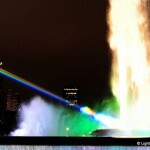 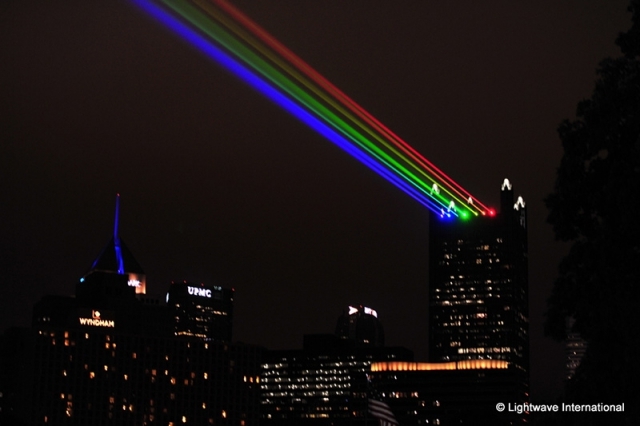 To celebrate the return of the iconic fountain, a stunning array of rainbow laser light physically connects the fountain with PPG Place, the crown jewel of Pittsburgh’s skyline. 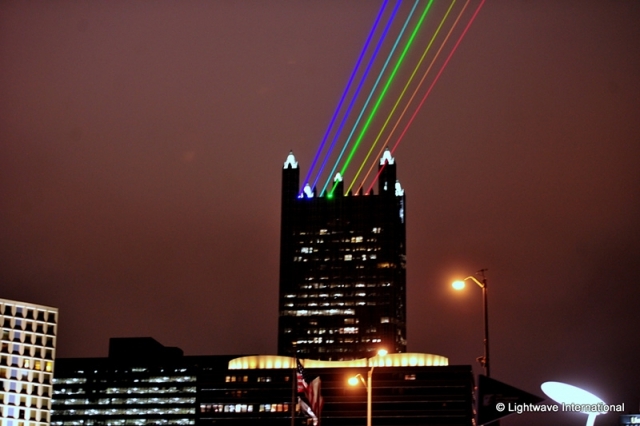 Lightwave International was chosen by Riverlife and the Pittsburgh Cultural Trust to punctuate this important moment in city history. 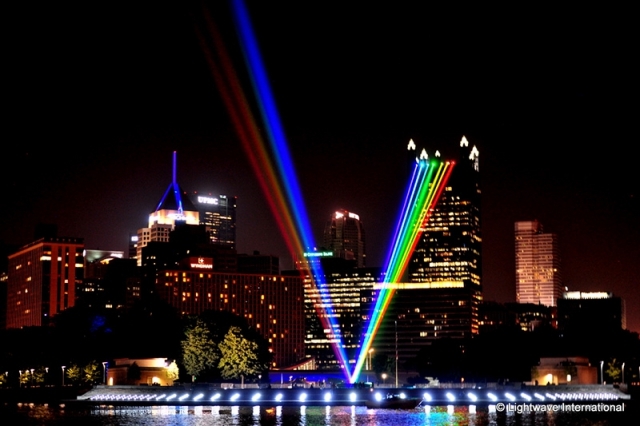 The laser display lasts three nights and also kicks off the Three Rivers Arts Festival. 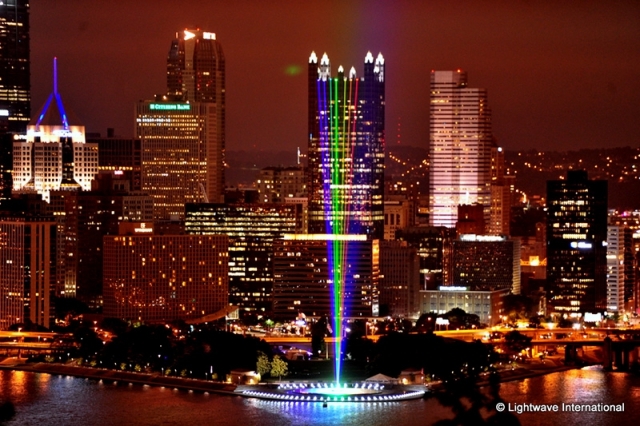 On June 7, 2013 Pittsburgh’s Point State Park fountain rejoined the skyline with the help of Yvette Mattern and Lightwave International. 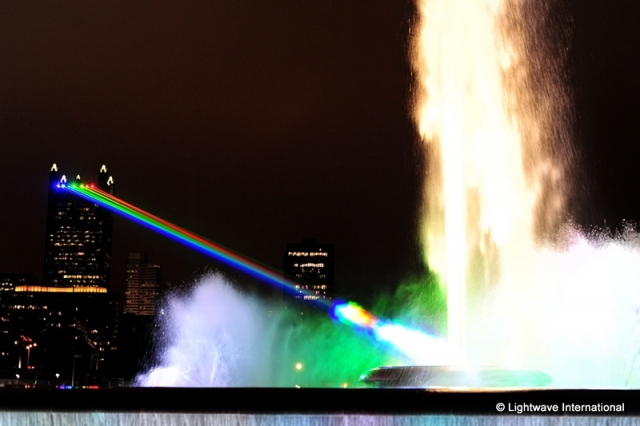 The 150-foot water spout – symbolic of Pittsburgh the way the Gateway Arch identifies St. Louis or the Golden Gate Bridge means San Francisco – has been shut down the past four years for refurbishing. 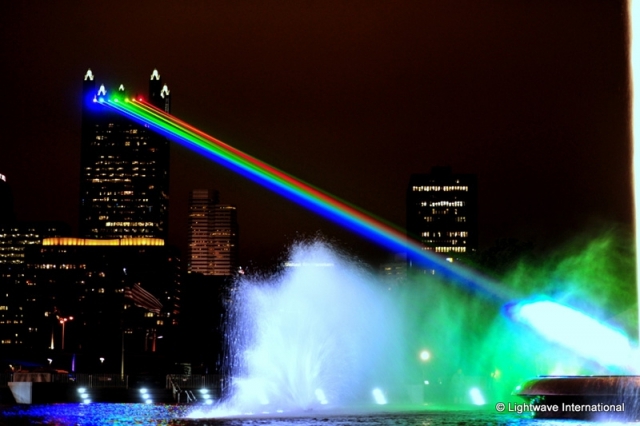 To celebrate the return of the iconic fountain, a stunning array of rainbow laser light physically connects the fountain with PPG Place, the crown jewel of Pittsburgh’s skyline. 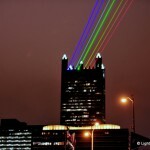 Lightwave International was chosen by Riverlife and the Pittsburgh Cultural Trust to punctuate this important moment in city history. 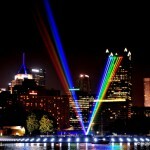 The laser display lasts three nights and also kicks off the Three Rivers Arts Festival. 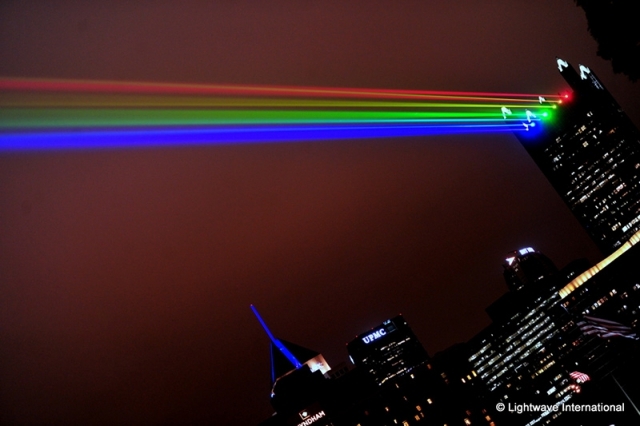 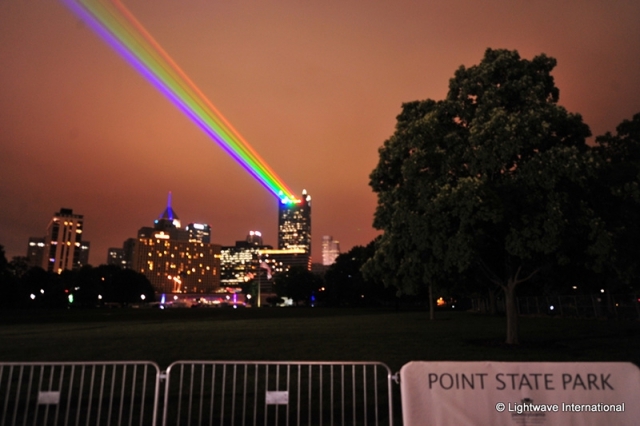 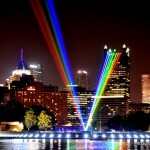 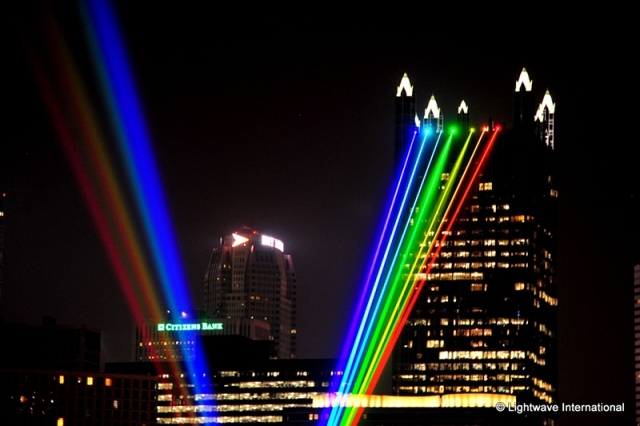 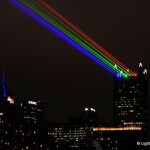 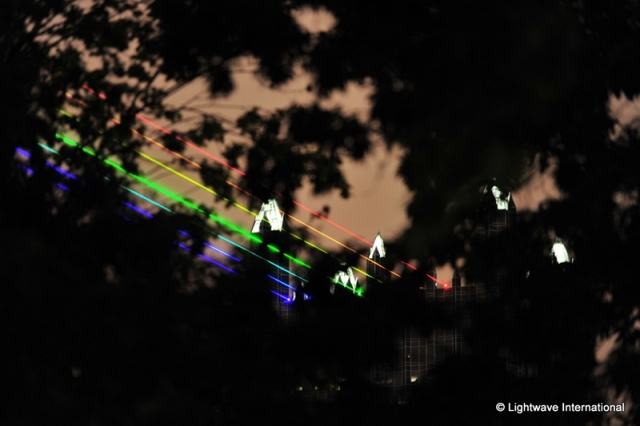 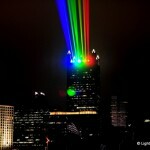 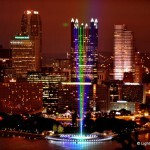 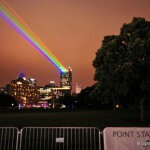 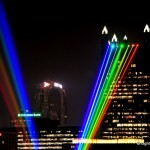 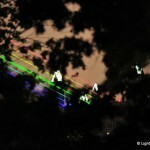 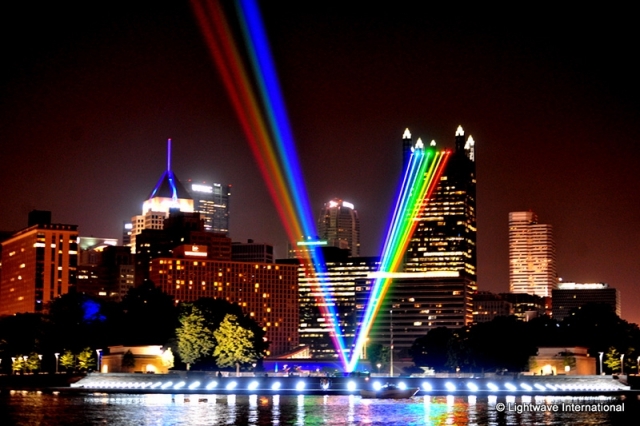 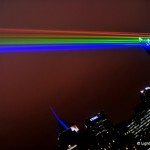 Pittsburgh: Spectral Ascending is part of the continuing Global Rainbow works. 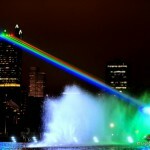 Variations of Yvette Mattern’s vision have been performed by Lightwave International in cities around the world.